While the bidet hasn't quite caught on in many American bathrooms, the level of technology associated with some products may cause the public to stand up and take notice. Bathroom manufacturer Brondell has recently released a line of heated, remote-controlled bidet seats that are meant to revolutionize the way people use their washrooms. 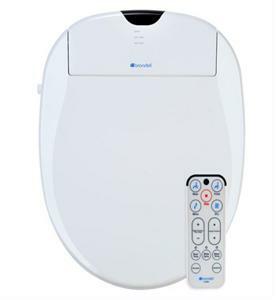 The Brondell bidet seat is a stunning piece of bathroom technology that combines a wireless remote control with a warm water wash system that can be controlled by the user. Everything from water temperature to pressure can be controlled at the push of a button, and it also uses a slow-closing "slam-free" seat and lid. With the release of Kohler's Numi and other high-tech bathroom accessories and products, Brondell saw an opportunity to give consumers a cost-effective upgrade that can let them experience some of the best technology the industry has to offer. Brondell also looks to incorporate this technology into standard toilets, but those designs are still on the drawing board. If you could have this kind of technology in a bidet, would you use one in your bathroom?